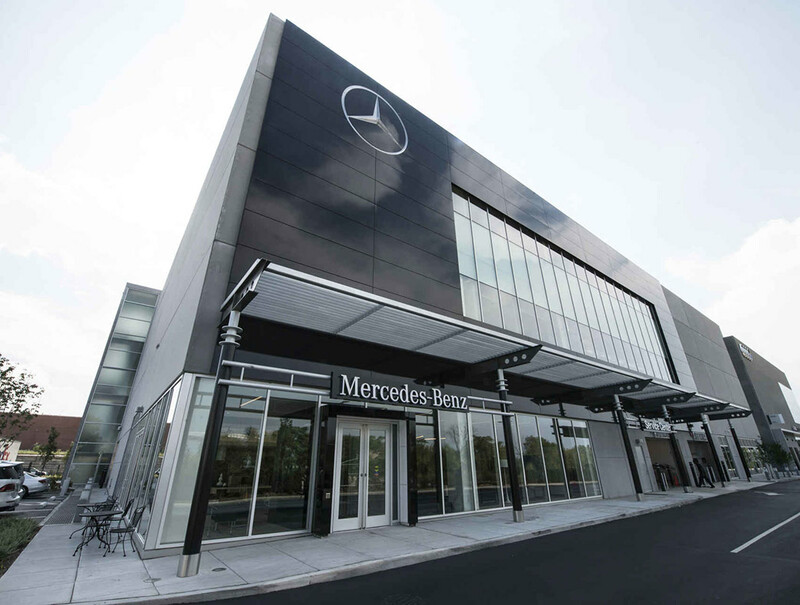 Mercedes-Benz of Chicago is proud to represent the Mercedes-Benz Sprinter brand across the entire nation! Guests in the surrounding areas of Chicago have come in for our immense selection of vans, as we’re the premier location for all your Sprinter automotive needs. 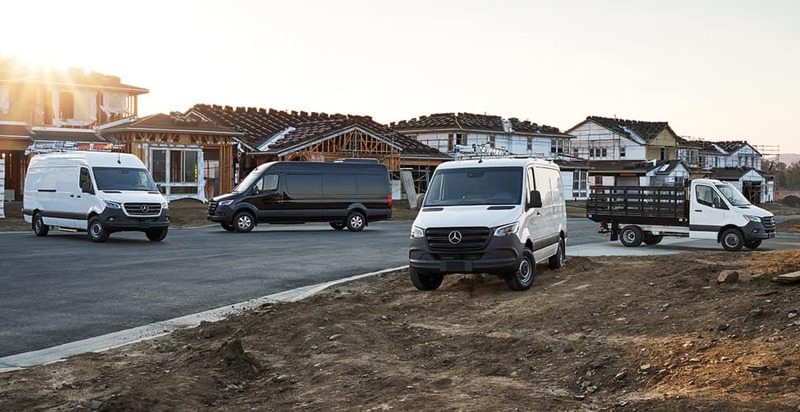 The Sprinter line bloomed in response to a yearning among commercial drivers for a versatile working vehicle that doesn’t compromise on looks, comfort, and overall excellence. 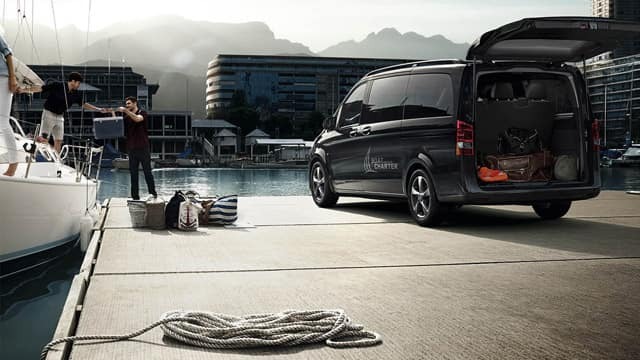 With a dynamically sculpted body, contoured grille, and the distinctive Three-Pointed Mercedes-Benz Star, Sprinter vans exemplify the innovation that rose to perfectly meet that need. 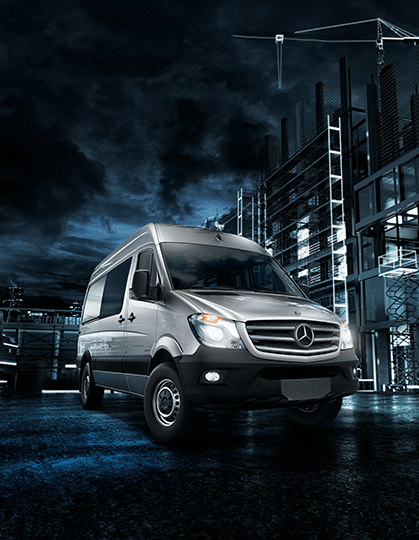 Today, these vehicles enjoy over 100 years of production knowledge, with current Sprinter vehicles blending car-like driving dynamics and comfort with the payload, volume, and practicality you’d expect from any other commercial vehicle. Business and pleasure have never been closer. 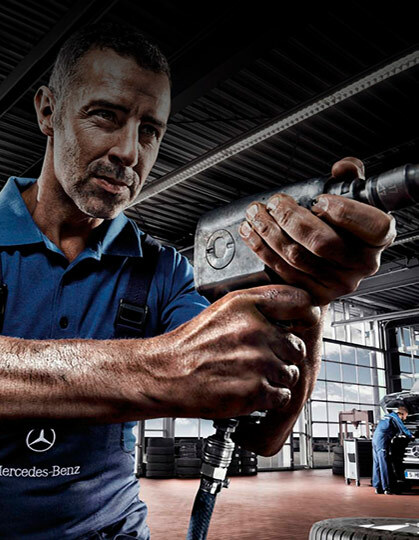 Rather than waste time at a less experienced shop, trust the Master Certified Technicians at Mercedes-Benz of Chicago for expert service from the start! 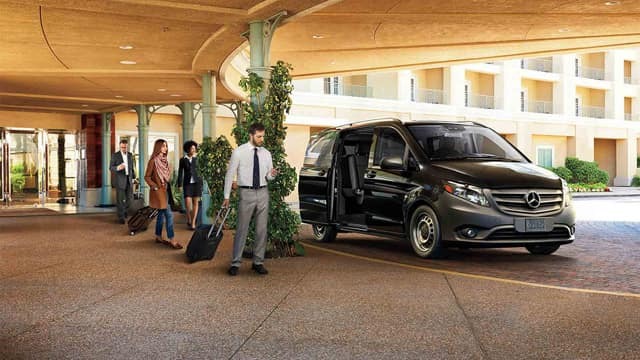 The Metris Van’s flexible, garage-friendly design and impressive turning radius mean you’re free to traverse the Chicago suburbs or the Loop with ease. In addition to Load-Adaptive Electronic Stability Program (ESP®), the Metris boasts top-notch systems for greater on-the-job safety, including ATTENTION ASSIST®, Crosswind Assist, and a rearview camera. Offering service intervals of 15,000 miles, the Metris cuts down on repair and maintenance expenses, allowing business owners to maintain one or more vans without going over budget. Siphoning as much power as possible from every drop of fuel is just another way the Metris saves businesses money. The Cargo Van earns an EPA-estimated 21 mpg city/24 mpg highway rating, while the Passenger Van earns 19 mpg in the city and 23 mpg on the highway. To conserve fuel and reduce emissions, optional ECO-START® shuts off the engine when the Metris is idling, helping you further manage your day-to-day travel costs. Every Sprinter offers smartphone integration and other technology features, including a Mercedes-Benz User Experience Touchscreen, which allows you to control Sprinter settings via voice control. 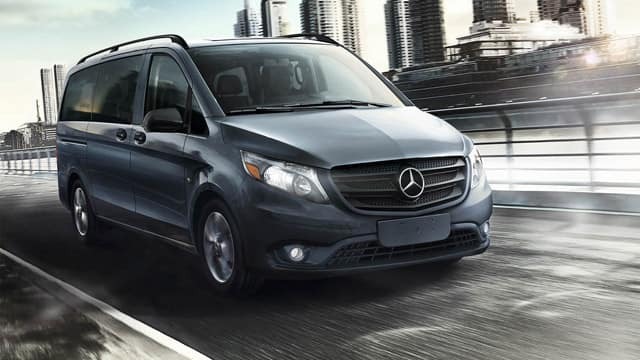 The Sprinter comes equipped with features like ATTENTION ASSIST®, Active Brake Assist, a Blind Spot Assist mirror, a 360-degree camera, and more, giving drivers peace of mind on Chicago roads. 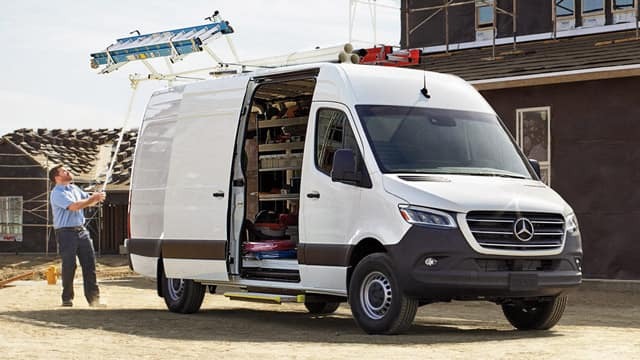 If your business requires plenty of cargo space, be it for tools or an in-vehicle work station, the Sprinter Cargo Van (high-roof, 170-inch extended wheelbase) offers up to 488.1 cubic feet behind the front seats. 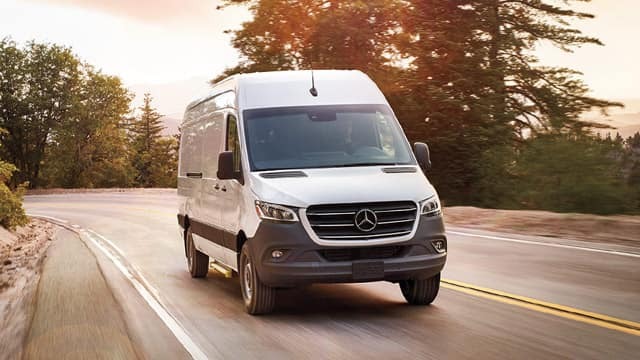 The Sprinter offers peace of mind for years to come, thanks to its 3-Year/36,000-Mile Basic Limited Warranty, 5-Year/100,000-Mile Diesel Engine Warranty, and 5-Year/100,000-Mile Anti-Corrosion Perforation Limited Outer-Panel Warranty. 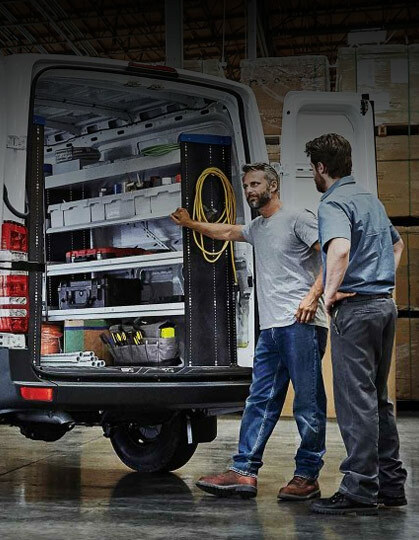 No matter your industry, the upfitting-ready nature of the Sprinter lets you build your ideal work vehicle using everything from ladder racks, to storage shelves, to partitions. 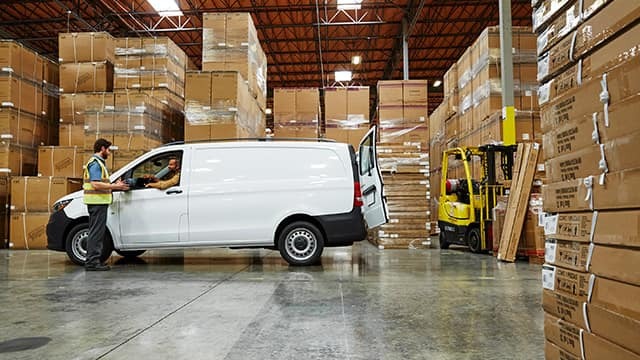 Featuring high payload and ample cargo volume, the Metris Cargo Van is ready to deliver for your business for a starting MSRP of $26,570. 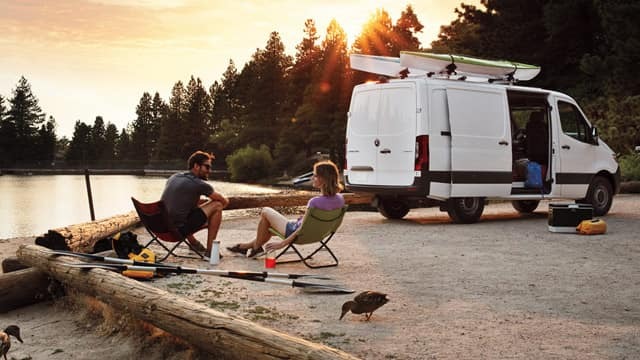 Available at a base rate of $30,700, the Cargo Van, like the Worker, has a towing capacity of 5,000 pounds but offers additional options for the rear doors. The Worker Passenger Van — MSRP from $30,650 — seats up to seven and has a payload capacity of up to 1,896 pounds. At a starting MSRP of $34,800, the Passenger comes with a 35.5-inch side door opening like that of the Worker Passenger. It also seats up to 8 people and provides up to 97.3 cubic feet of cargo room. 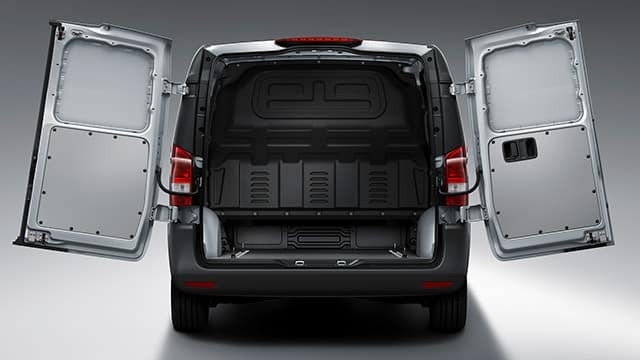 Starting at $33,790, the Cargo Van is available in a variety of hardy configurations and brags a payload capacity as high as 6,206 pounds. The Crew Van — starting at $41,290 — offers the same towing capacity as the Cargo Van, and seats up to five passengers instead of three. Staring at $42,990, the roomy Passenger Van has an interior standing height of 75.5 inches and seating for up to 12. 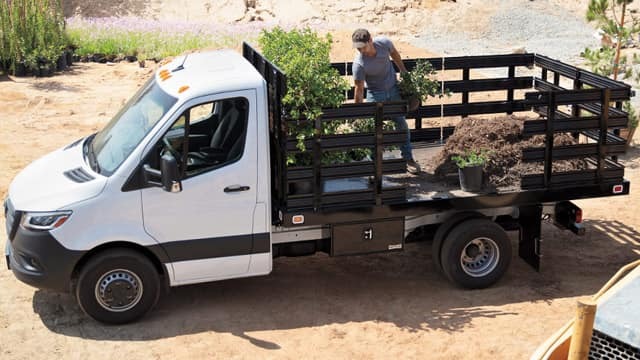 The three-passenger Cab Chassis provides a sturdy foundation for a personalized box truck or RV, tows up to 7,500 pounds, and comes in either a 144-inch or 170-inch wheelbase. Your One-Stop-Shop for New Vans and Premium Service! 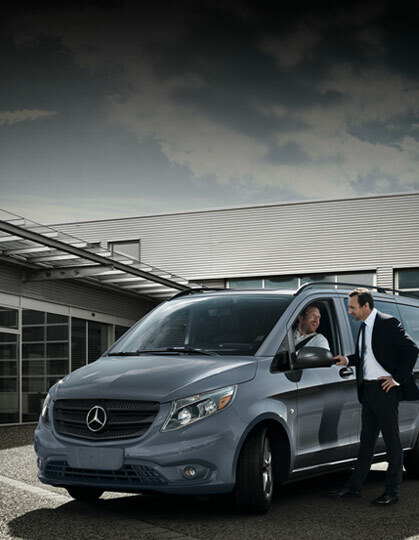 If you need Mercedes-Benz commercial van service or you wish to test drive a Sprinter or Metris Van, contact Mercedes-Benz of Chicago to schedule your appointment! We look forward to having a hand in growing your business with top-quality commercial vans and knowledgeable service.